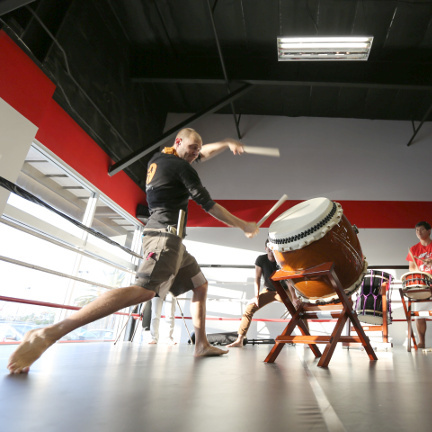 Naname (slant) taiko is one of the art-form's great styles. This course teaches in detail the fundamentals of stance and strike and provides an introduction to critical rhythms. Learn how to use the catchy "otsuri" tag to organize an exciting, groovy festival-style solo! Open to beginning and experienced players.